Ghostly Gardens – the transformation begins! Humerus & Patella were seen in the Gardens today, anxiously awaiting the arrival of volunteers to begin the transformation of the summer gardens into… well… the Ghostly Gardens! Knowing they would need lots of energy in the days ahead, they dove into a bag of Chili Cheese chips. Silly old skeletons! We love our pumpkins… there will be lots of pumpkins, and variations on pumpkins, found throughout the Ghostly Gardens, starting October 21 as we launch Ghost Town 2016. For FOUR BIG NIGHTS, October 21, 22, 28 & 29, the renowned Historic Gardens will open their doors for Ghostly Gardens AFTER DARK – a great experience as visitors wander the paths, take in the special effects and meet ghosts, grim reapers, witches and other interesting creatures along the way. Visit the Witch’s Lair, Bat Cave, Witchsteria Arbour, Giant Spider Web, and Musician’s Graveyard, have a hot chocolate at the “Elm Street” Cafe, and gather around the Courtyard bonfire. For the young and young at heart, try a little eyeball bowling, or the bone dig. RAIN OR SHINE – things are even spookier on a dark & dreary night! If “after dark” is not your thing, come enjoy the Ghostly Gardens by Daylight, open daily 9-5. Explore with a Haunted Seek & Find in hand, looking for ghostly apparitions as you enjoy the Gardens in their autumn glory. And be sure to linger a while in the Musician’s Graveyard, where Johnny Cash, Hank Snow and Elvis are buried! 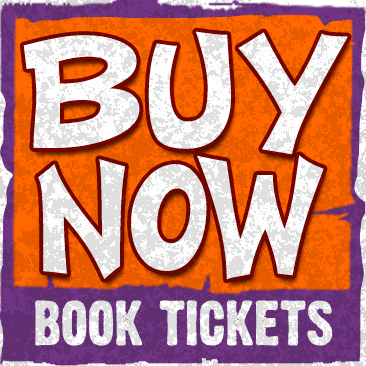 For Ghostly Gardens AFTER DARK tickets, hit the “Buy Now” button, or buy them in person at the Gardens or at Scotiabank – Annapolis Royal. Or you can call us at 902-532-7018. Always good to know you have tickets in advance, and it does allow you to avoid waiting in line to pay at the door. Need a little last minute boost for your Hallowe’en decorations? 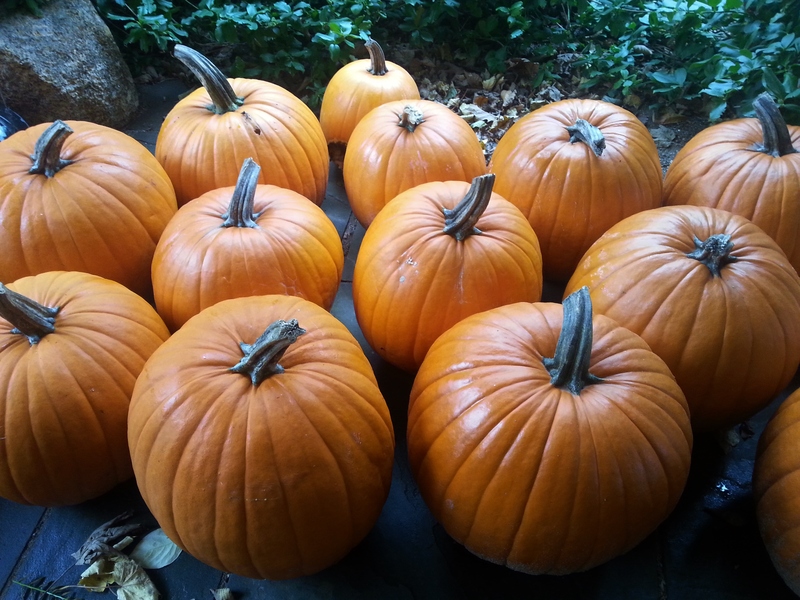 Stop by the Historic Gardens on Thursday October 30, 10am-2pm and get a pumpkin or two from our Ghost Town display to take home. 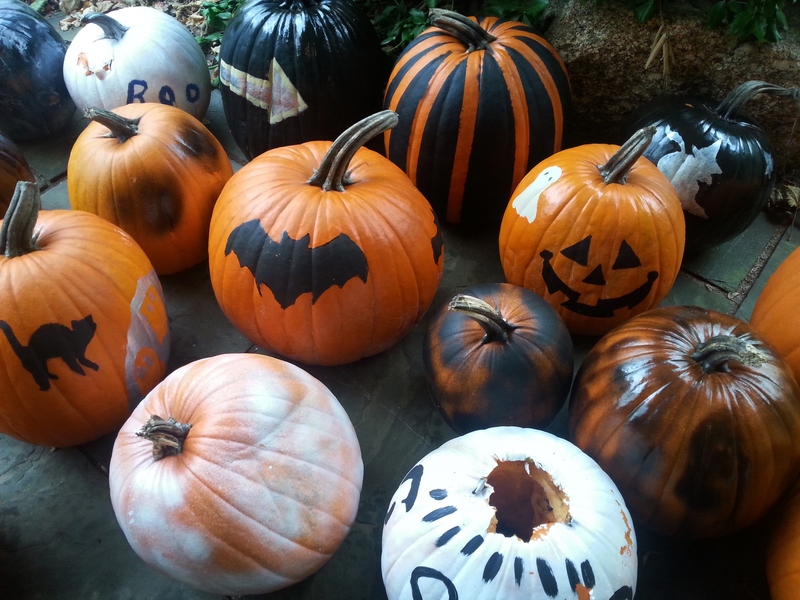 Many are already decorated for you, others are waiting to be carved or just used as orange accents. The price? A suggested donation of $3-$5, depending on the pumpkin.